This one made me smile. 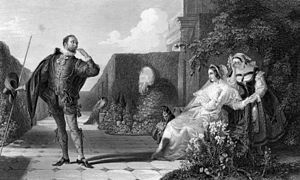 Although it refers to a hanging as punishment, and in the context of Shakespeare’s play, it made me think about the small issues in a marriage. The economic meltdown in the country affected many families and brought the best and bad in us. So, what prevents a bad marriage and promotes a good one? A good hanging – well, let’s not get scared here, metaphorically speaking. There are many little issues that we keep inside to ourselves and eat away our spirits, our love, our marriage. Maybe it would be a good idea to do a symbolical hanging of all the small issues that we carry on the inside, and expose them, hang them, or hang them to dry if you must, let the sunshine lighten the load, and work them out with your love one.